Do you remember last year our community hosted children from drought affected Muttaburra and Ilfracombe? A gala dinner on July 14, at the Rainbow Beach Hall will fund children from Windorah, an area still in the grip of a six-year drought. Organiser Tony Stewart said, “They reckon it is like a desert. All up, the cost to host the kids for a week was nearly $18 000, so it is time to help! Book a table at the Gala, sponsor, donate and be entertained by returning guest artist, Rodney Vincent with his Rock’n’Roll show and hilarious jokes! It is a 6pm start for a sit-down, two course, hot and cold meal (prawns and all), thanks to PFD and the Rainbow Beach IGA. Already some huge prizes have arrived for live and silent auctions, including weekends at Rainbow Sea and Fraser Island Beach Houses. Seafood lovers will love the raffles, thanks to Lees. Tickets are limited! “I know someone in Gympie who is booking three tables, don’t leave it to the last minute, or you could miss out,” said Tony. A bus will leave Tin Can Bay at 5.30pm for $5 and Gympie Civic Centre at 5pm, for $10. 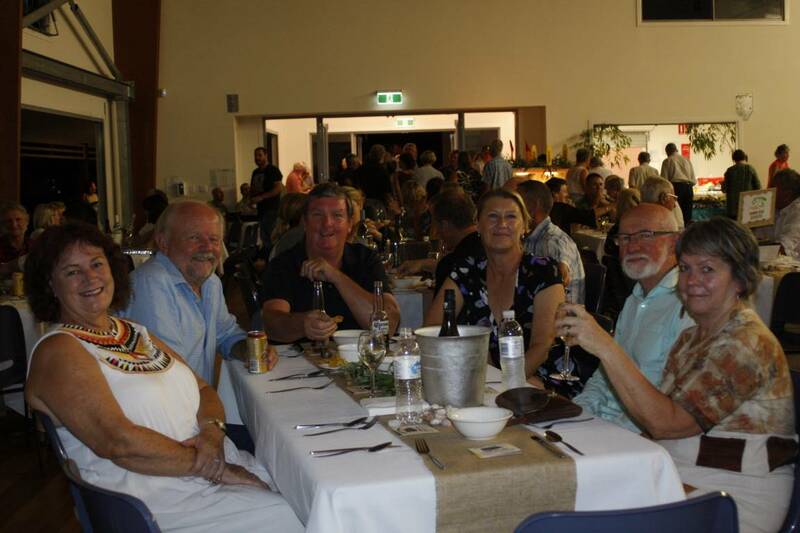 Book a table for just yourself from 7th Wave, RB Post Office, TCB Bakery, Jillys or Tom Grady Real Estate in Gympie. Find out more, call Tony Stewart on 0408 767 930. RBCT – What’s happening around town?